It has taken me a while to get this post sorted as I kept forgetting to take pictures for it. 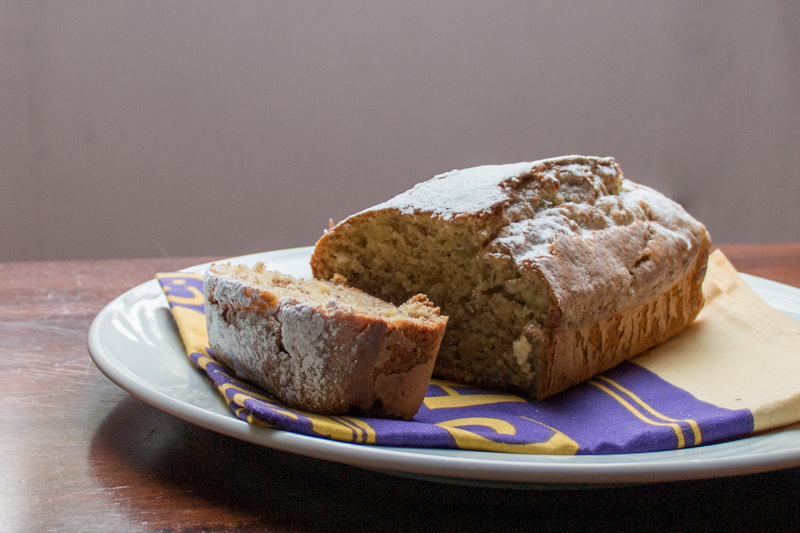 But it’s fitting this is my first Edmonds Recipe post as I make banana loaves more than anything else in the kitchen. I’m not a fussy person, I will eat anything that is put in front of me and enjoy it. I love food and I hate wastage. But that being said, there are certain foods that I just generally avoid. Pumpkin and sweet potato, unless they are in a soup – then I am all for them, but I really struggle to eat them by themselves and so therefore, rarely buy them. I will also avoid fresh tomato, by avoid I mean I’ll eat it if it is already in my sandwich, but I very rarely add it in there myself. Lastly, building up to my most shameful food particularity, I can’t stand bananas when they get past a certain point. The point where they get really sweet, and their texture goes from firm to floury and their skin gets thinner. It gives me goosebumps thinking about it. I really don’t want to eat those bananas. What these bananas are perfect for though, is baking. So rather than throw them in the food waste, I collect them in the freezer. I say collect as sometimes I’ll end up with about five or six in there. On weekends when I have a bit of time, I defrost a few and turn them into a banana loaf. I make banana loaf about once every two weeks, it usually looks something like this. Sometimes I add chopped nuts on the top, sometimes I mix in chocolate chips and usually I add vanilla and cinnamon. I reduce the amount of sugar that is in the standard recipe as, one, I’m eating this every week, and two, it really doesn’t need as much sugar as the recipe suggests, the ripe bananas in it add a lot of sweetness too. When its freshly baked I share it with whoever is around home, but then I cut the rest up and wrap the individual slices in cling wrap. I then freeze them and take them out when I want one. I take a slice to work every now and again, or heat them and put a spoonful of yoghurt on top. Yum! It’s such a versatile, fail safe recipe and it alleviates my banana wastage guilt. Sift flour, baking soda and salt into a bowl. Mix in sugar. In a nother bowl beat eggs. Stir in milk, butter and banana. Mix quickly into dry ingredients, stirring until ingredients are just combined. Mix in any optional extras. Spoon into a greased and lined 22cm loaf tin. Bake at 180 degrees celsius for 45 – 55 minutes. Leave in tin for 10 minutes before turning onto wire rack. If you are going to freeze it, let the cake cool completely before wrapping in cling film. 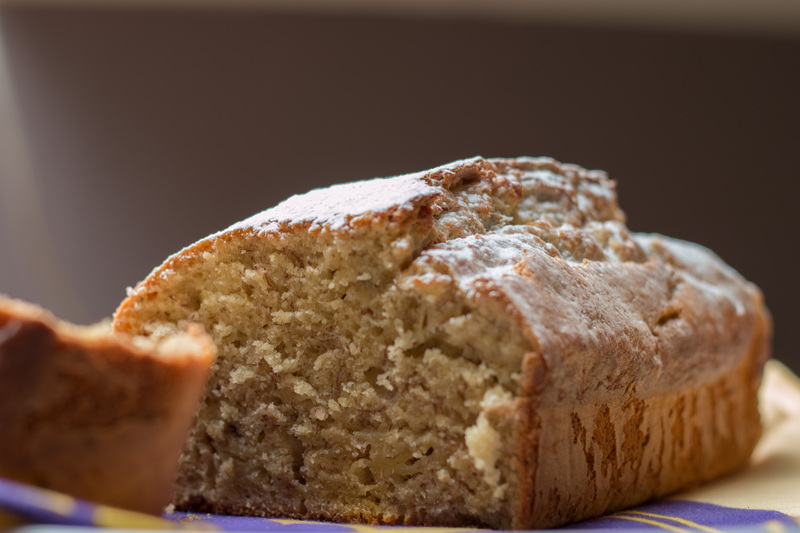 This entry was posted in The Edmonds Challenge and tagged banana loaf, Edmond's Banana Loaf, NZ baking, simple baking by andieinspired. Bookmark the permalink.